Well, if Shakespeare's ghost decided to flee gloomy old England for a warmer home in the New World, he might well choose the city of Staunton. After all, Staunton is home to the Blackfriars, a modern-day re-creation of Shakespeare's original indoor theater. Just steps from the renowned Stonewall Jackson hotel, the 300-seat Playhouse hosts the American Shakespeare Center, which runs an ongoing series of lively, often hilarious, but always faithful renditions of plays by Shakespeare and his contemporaries. Think you’ve seen enough Shakespeare already? Not ‘til you’ve seen it played in the original language by actors wearing everything from go-go boots and fish costumes, to Panama hats and Hawaiian shirts. Explanation? Since there was no electric lighting during Shakespeare's time, all plays took place during daylight hours. So in the spirit of accuracy, Blackfriars Playhouse keeps the lights on the entire play. And be ready for an interactive experience. 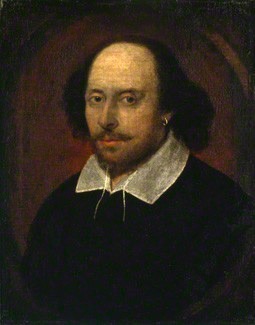 Unlike modern plays, where audiences passively observe the performance, Shakespeare's time encouraged and expected interactions between the performers and the audience. Thus, you can sit on the stage if you’re brave. You can talk to the performers. You may even find yourself poked or prodded with a sword prop or a foam swimming noodle. It's all part of the fun. If you want the full experience, don't miss the one-hour backstage tour, offered at 11 am and 2 pm most afternoons, for just $5 per person. Also, if you don't mind staying after certain performances, you can join in the “Talkback,” where audience members and players join in a freewheeling discussion of the play and all things Shakespeare. A few caveats: if you have a bad back, be prepared. Seating is designed to be similar to the original Blackfriars, and it's not much more than wooden benches with a little padding. Also, if you have kids under 10, you may want to try a matinee, as the evening performances run well past 10 pm. Remember, Shakespeare’s language and innuendos can be fairly bawdy and downright crude at times, so choose your play carefully if you’re bringing kids (they recommend no kids under 7). Best advice for the younger set? Hold out for “A Comedy of Errors,” often considered Shakespeare’s most family-friendly play. Ticket prices for regular performances at the Playhouse range from $20-$42 for adults, $18-$35 for seniors and youth ages 14+, and $14-$28 for youth ages 7-13. Want to go for less? Here’s how: Attend one of their “pay what you will” (PWYW) performances, which are usually the first one or two performances when a new play comes out. It’s quite a deal, because the management lets you literally pay whatever you want those nights. For more information, or to order tickets, go to www.americanshakespearecenter.com or call 1-877-MUCH-ADO.